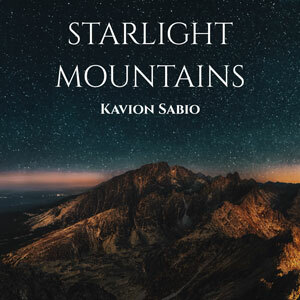 Kavion Sabio: “Starlight Mountains”- audio interstellar bliss! Like many, Kavion Sabio first discovered his love of music within the four walls of his childhood church. 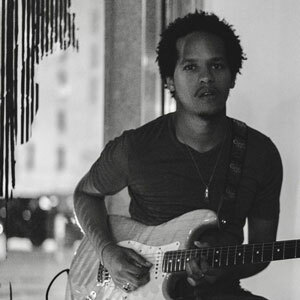 Motown flowing through his home influenced his lyricism, while rock inspired him to pick up guitar. He began playing in his early teens but pursuing it didn’t come until he settled into college. The sounds of Jimi Hendrix and John Mayer were filling his headphones. A force of audio exploration that transforms his own astral plane. Kavion is the physical embodiment of some omnipotent musical being. He is an artist who explores and understands the eccentricities of the musical language and takes comfort in the waves of aural schizophrenia between screeching guitars and shimmering keyboards, between driving bass lines and shifting ambiance. With his childhood inspirations in tow, the core of Kavion Sabio’s music has remained the same, but his aesthetics has evolved. From the Native American inspired sounds of “Starlight Mountains”, to the emotional subtlety of “Midnight Run”, and the ’80s ‘Miami Vice’ progressions of “All Night Tonight”, he is eager to perpetrate his razor sharp characterizations of EDM. Right now he is focused on completing new music to release his first EDM EP, and the general consensus may be that Kavion has made the change to save us all from the obscene banality of modern electronic music. Redeploying the skills that inspired his pop and rock universe, Kavion is igniting his new project with the release of the single “Starlight Mountains”. So let’s separate hype and anticipation from reality. While there’s no way to please everyone in a single track, “Starlight Mountains” covers enough ground to leave even the sternest listener satisfied. Whether that’s in the harmonic resonance of the synths, or the cosmic waves of percussion, this track will leave you stumbling dazed, elated and blinking into the night light. “Starlight Mountains” sees a master craftsman compose and perform with renewed inspiration. The listening experience will bring you into a twang of audio interstellar bliss. The focus on detail is especially impressive, and though a fair amount of complexity is intrinsic to every millisecond of auditory vibration on “Starlight Mountains”, it is never at the expense of groove and mood. As soon as the track twinkles into action the keyboard atmospherics cascade over jittering, restless percussion, and the listener is transported into a totally ethereal sonic space that is well-constructed. The beat crackles and writhes as countless subtle themes and motifs constantly shift in and out of focus. Each and every moment of the single has enough depth and detail to allow the listener to get utterly – and willingly – lost. 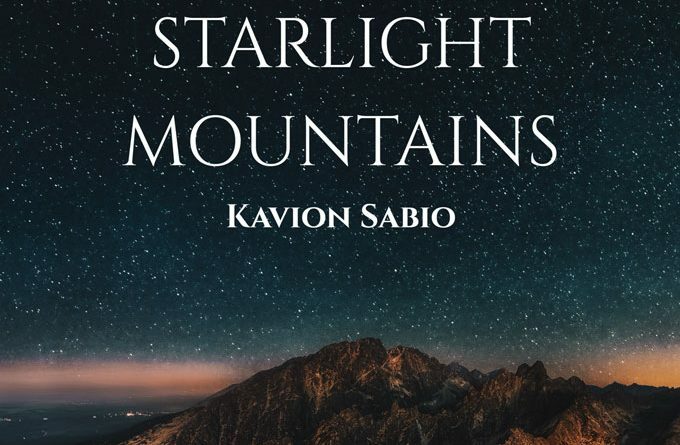 In many ways “Starlight Mountains” is exactly what Kavion Sabio has been working towards doing in recent times – and once you let the hype drain away – what’s revealed is pretty much flawless. You can find out more, follow, listen to, or download Kavion Sabio’s music HERE. Addison Flux: “Monumental Novella” – heady, indulgent, and exciting stuff!